I admit I may have a problem. I have a slight addiction to converse shoes. Well, maybe it is not so slight. I should probably be in rehab right now for this problem! I head to the beach in August for 2 weeks where there is a Converse shop at the outlet mall. I will probably not be able to control myself! 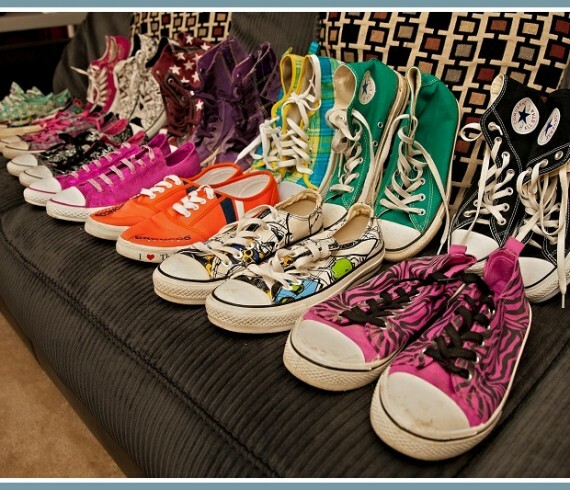 I had to give up heels a few years ago but craved something fun to wear and Converse has so many styles to choose from. Here is my little collection that is already getting out of hand!